Actually, all matter has been noted to possess sentient intelligence – first noted scientifically by the great early 20th century scientist Chandra Bose, whose work the 1973 best-seller Secret Life of Plants was based upon. After he proved that plants had a richer inner intelligence and even emotional life Dr. Bose went on to use much of the same instrumentation and testing protocol to demonstrate similar characteristics of seemingly innate matter, like slabs of concrete and beams of steel. In his TED talk above, Stefano Mancuso, professor of horticulture at the International Laboratory of Plant Neurobiology in Florence, Italy, discusses the basis of a prove-able fact: plants are intelligent entities. To christen his research lab in 2004, the only lab in the world dedicated solely to showing that plants are, in fact, intelligent entities, Mancuso decided to use the controversial term ‘plant neurobiology’ to reinforce the idea that plants have biochemistry, cell biology and electrophysiology similar to the human nervous system. Together in the Cloud is a new book hitting bookshelves at the end of April and readers are in for a real treat! Cloud9 Real Time CEO Robert J. Chandler, author and innovator of cloud computing solutions, offers keen insight into how businesses large and small can implement and utilize cloud computing technologies, and bridge the gap between users and Information Technology. 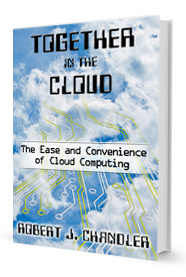 Together in the Cloud is intended to help readers work more efficiently and profitably. Come together in the cloud and use this informative “how to” guide for transition and guidance. In early March of 1930, in order to help free India from British control, Mahatma Gandhi proposed a non-violent protest march denouncing the British Salt Tax, continuing Gandhi’s national calls for civil disobedience. The Difference Between Fiction & Reality? Time. Do you remember “Star Trek” and all the great gadgets the crew members used in each episode? Or the fancy gizmos from “The Jetsons” or “Minority Report?” Ever wonder when, or if, we’ll invent technology like what we’ve seen in the fictional universe? 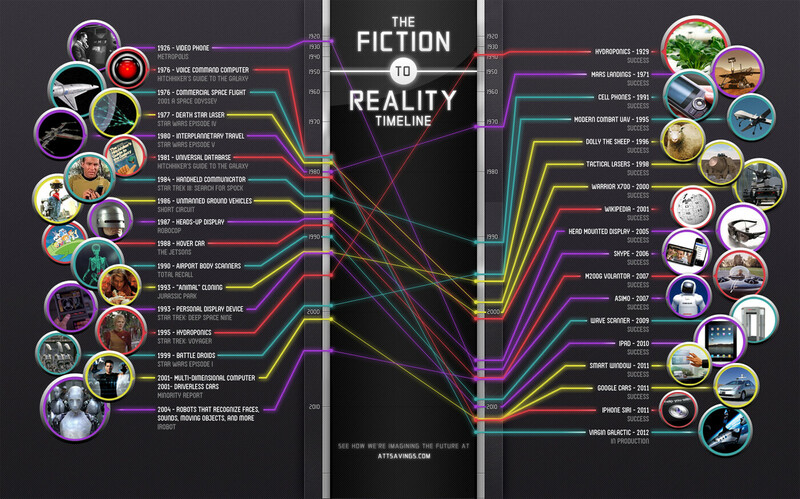 Satisfy your craving for fictional tech with The Fiction to Reality Timeline.